Daniel Craig means it’s out with the one liners and in with the serious plot. For great puns you now have to delve deep into Bond’s prestigious/cheesy history. So let us cast our minds back to some of the most memorable quotes. Here are Movie-Moron’s top ten best James Bond one liners. Plenty: My name’s Plenty. Plenty O’Toole. Bond: Named after your father, perhaps? 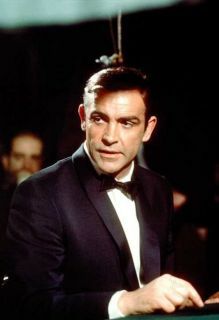 Moneypenny: You always were a cunning linguist, James. Dr. Holly Goodhead: Come on, Mr. Bond. A 70-year-old can take 3 G’s. M: What the devil is he doing? Q: I think he’s attempting re-entry sir. Can’t believe you missed that. 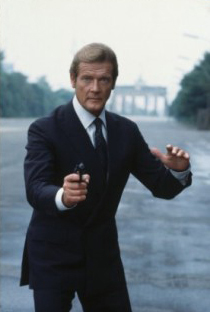 Bond is stabbed in a wad of cash hidden in his jacket. Bond: Thank god for hard currency! On an unrelated note, I asked a barmaid for a vodka martini this weekend. She didn’t have any martini. Dang. “Re-entry” isn’t there because it isn’t James Bond’s one liner, it belongs to Q. Also, just because you pulled a nurse this weekend, it doesn’t mean you’re Timothy Dalton. …Although I am quite jealous. I was in a tux at the time. My very own Vesper Lynd fawning over me on the dance floor. How could I not? It was the greatest moment of my short life, although the lack of martini cheapened it. Mishkin: You will tell me everything you know about the Goldeneye satellite. Bond: What, no small talk? No chit-chat? Natalya: so do you know how to disarm the weapon? 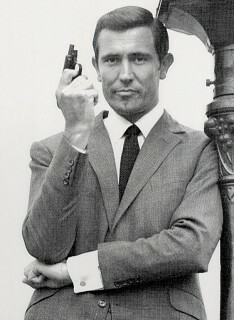 Bond: uhh., i think it depends of what kind of weapon your talking about disarming!? Casino Royal best James Bond line EVER. Bond: You’re not my type. Girl: Why, cause I have half a brain? Bond: No, cause you’re single. I forget the girl’s name though. -Am I going to have a problem with you bond? 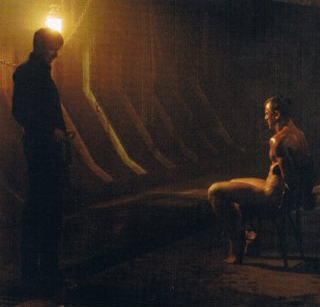 -No, don’t worry, you’re not my type..
Elektra: You wouldn’t kill me. You’d miss me. James Bond: I wouldn’t know. Bond: I thought Christmas only comes once a year. Mr. Kil: I’m Mr. Kil. Bond: There’s a name to die for. 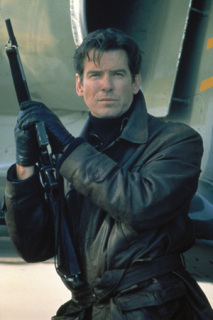 Tomorrow Never Dies…Bond drops goon into printing press.